This Easy Corn Casserole deserves to be a Thanksgiving side dish on your table this year! It only takes 5 easy ingredients to make it and tastes heavenly! 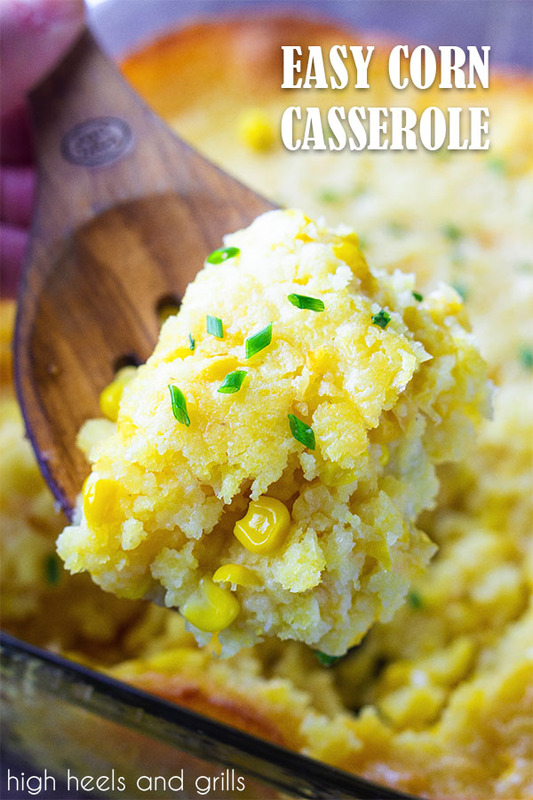 Before we get into the yumminess of this super easy corn casserole, I wanted to talk to you about the amazing opportunity I had! At the beginning of this month, I had the honor of visiting the beautiful state of Iowa with the Iowa Corn Board on their #IACornQuest. 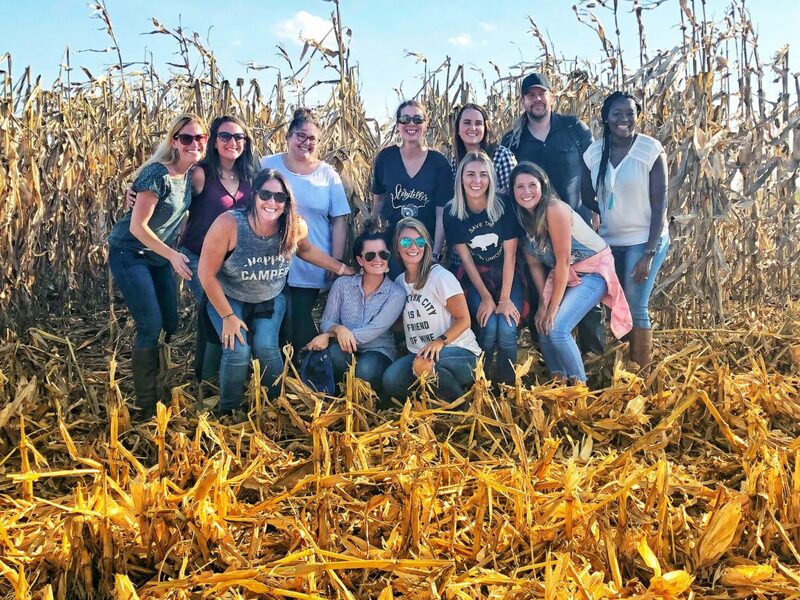 This is an incredible trip that is put on every year to give food bloggers a glimpse of all Iowa has to offer. I won’t lie, when I thought of Iowa, I didn’t think of beauty, enrichment, and gratitude, but that is exactly what Iowa gave to me in the three days I was there. I left feeling grateful to those that work so hard to put food on our tables and was instantly missing the wide open corn fields. My favorite stop we made on our #IACornQuest was to the Blair Farm in Dayton, Iowa. When I imagined visiting a corn farm, I imagined an older man in overalls and boots, with a piece of straw sticking out of his mouth. Instead, we were greeted by the fun and spunky Kellie Blair. She told us the history of the Blair farm and how it has been passed down the generations for over 100 years. Her husband’s grandfather was born in the very home they live in now! 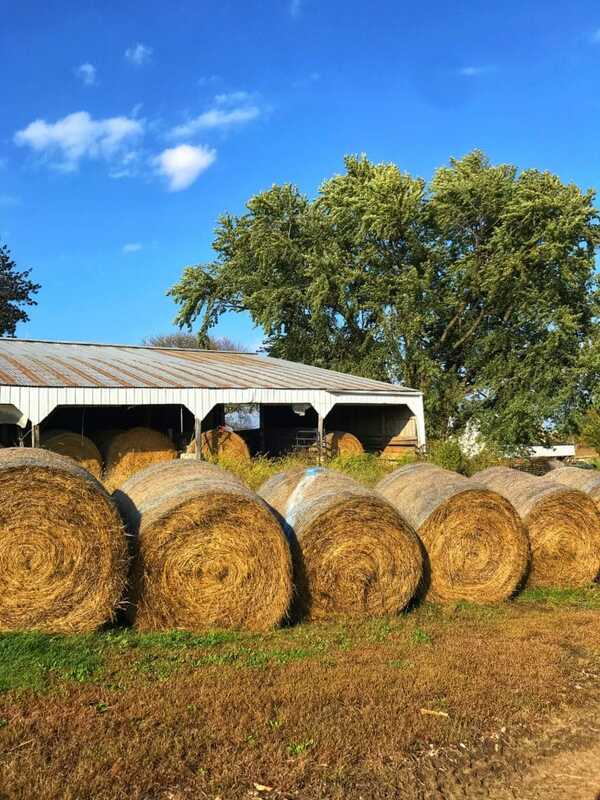 The Blairs grow corn and soybeans and raise cattle and pigs on their farm, making it a year-round chore for them. Life never seems to slow down for a farmer! I found it so inspiring to talk to this strong woman who is not just a farmer, but also a wife, a mother, and a business woman, just like me! It was humbling to recognize the impact she is having on the world. Yes, the world. Because while corn can feed people and tastes delicious, that is just a small part of its purpose in Iowa. In fact, sweet corn, which is the corn you and I eat, makes up just 1% of the corn production in Iowa. 99% of the corn made there is “field corn”. 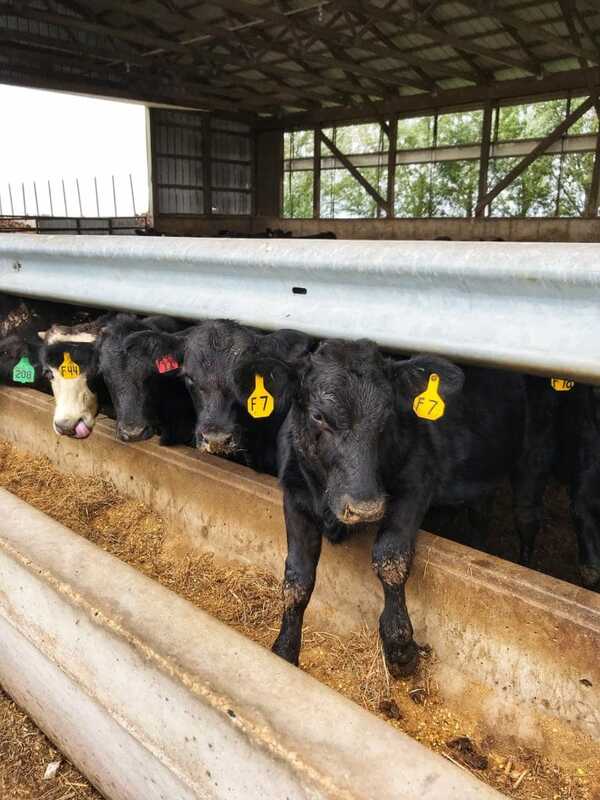 A small portion of “field corn” is processed for use as corn cereal, corn starch, corn oil, and corn syrup, but most of it is used for livestock feed, manufactured goods, and ethanol production. One of the coolest takeaways I received from this trip was the impact that ethanol can have on our environment! 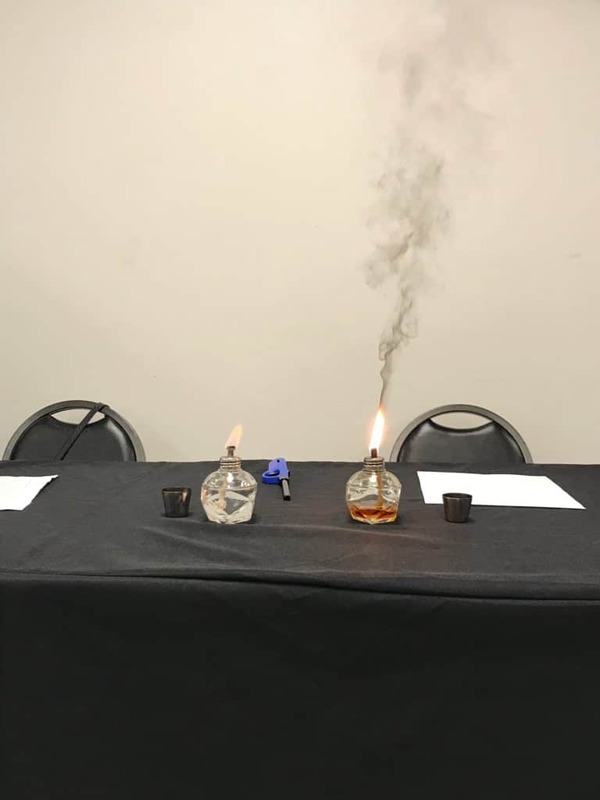 The photo below demonstrates how ethanol (left) burns versus how gasoline (right) burns. As you can see, ethanol burns much cleaner and has significantly less toxic emissions. I am from Utah, where there are mountains and valleys all over the place. Every year in the Salt Lake valley, the differences in atmospheric pressures cause what is called an inversion, where it almost feels like someone put a giant piece of plastic wrap over the valley. Then when you throw in over a million people living in that enclosed space, driving to and from work every day, the smog builds up and you can see a literal line between the clean air above the inversion and the dirty air in the valley. People get so sick every year from living in the gross air conditions. Using ethanol in our gasoline is one huge step in the right direction to giving us cleaner air to breathe and that ethanol is made from corn! Another huge takeaway I had was the impact that GMOs have on the corn industry. I have always held such a negative perception of GMOs, but when I sat back and asked myself why that was the case, do you know what my answer was? I didn’t have one! It was just what I had been told. In reality, the use of GMOs reduces pesticide use, lowers food prices, produces more nutritious food, and a whole slew of other awesome things! I am no longer afraid of GMOs, but rather I see them as a huge blessing to so many people. 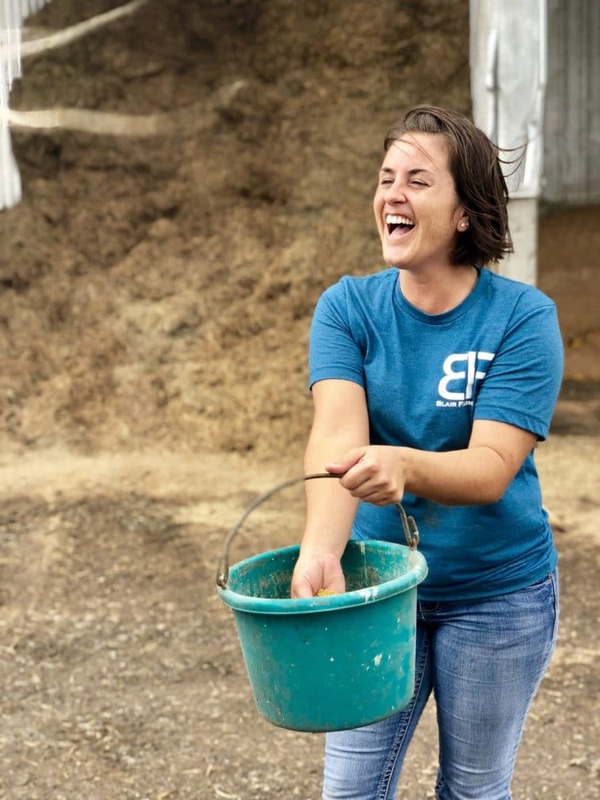 This was such an eye-opening trip to see corn farming in action. 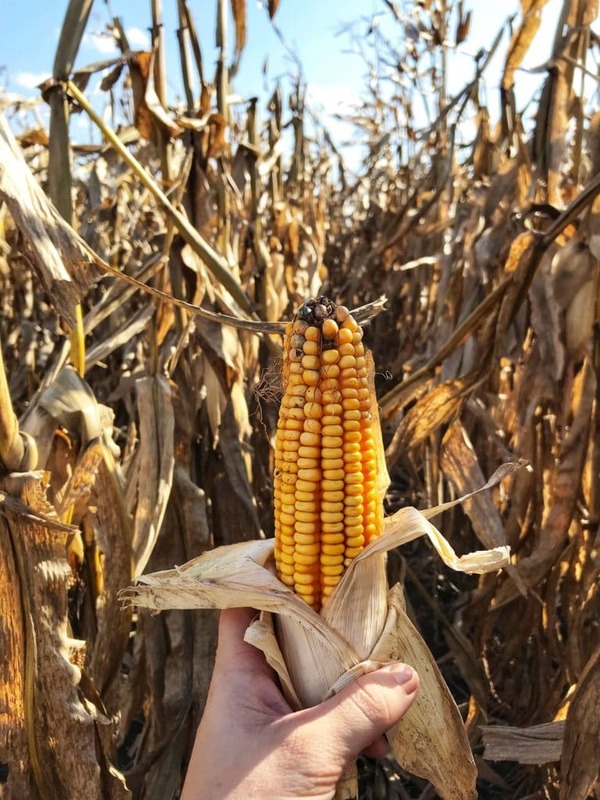 If you would like to learn more about how corn is utilized in our every day lives, feel free to visit Iowa Corn’s FAQ page! The bottom line is, corn is pretty amazing. Who would have thought that one little seed could provide so much for this world? 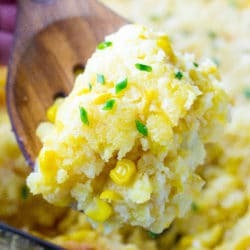 With the holidays coming up, I wanted to share a recipe that would showcase corn, while still being easy and tasting delicious! 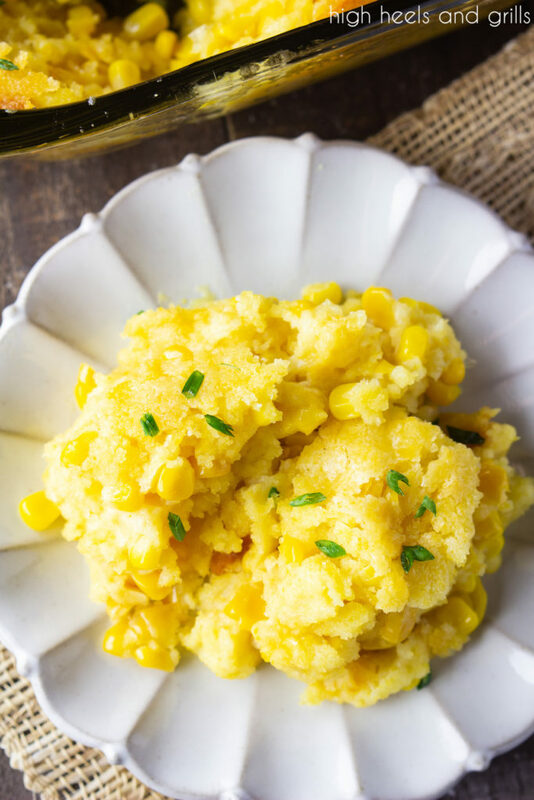 That’s why I’m sharing this amazingly Easy Corn Casserole with you today. It takes just 5 ingredients to make and only one bowl to prep! What is this Easy Corn Casserole, exactly? Think of is as a moist, rich cornbread, with whole corn kernels added to it. So, basically heaven. I was actually pleasantly surprised the first time I tried corn casserole by how much I loved it. I was resistant to it for the longest time for whatever reason and after my first bite, I was hooked! 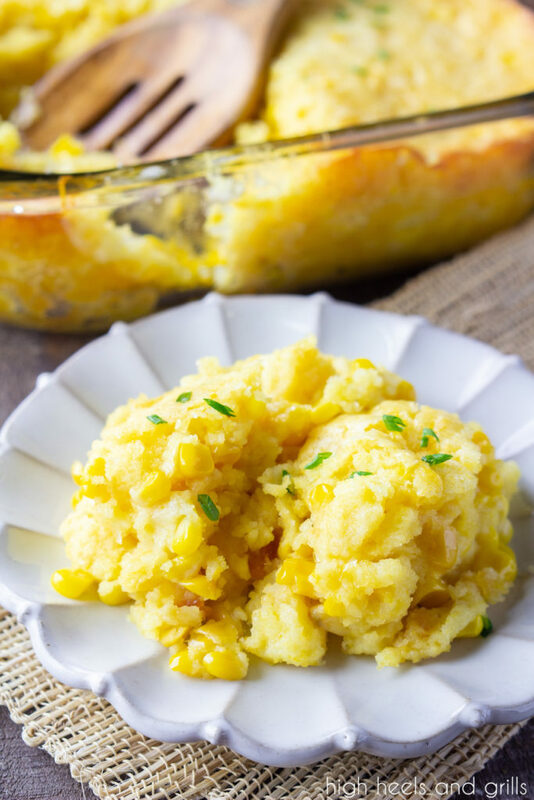 Which 5 Ingredients are in this Easy Corn Casserole? You literally dump it, stir it, bake it, and then the best part – enjoy it! This dish is screaming to be a Thanksgiving side dish on your dinner table this year! Preheat oven to 350 degree Fahrenheit and grease an 8x8 inch baking dish. Stir all of the ingredients together in a medium bowl. Bake for 50 minutes or until edges are browned and center is no longer runny. This will definitely be making its debut on our Thanksgiving table this year!! This will be on our Thanksgiving table this year for sure! I loved reading all of this cool corn info too!